University of Chicago Press, 9780226669441, 106pp. Robert Pinsky is professor of English and creative writing at Boston University and poetry editor of the online magazine Slate. He is the author of numerous books of poems, most recently Gulf Music and Jersey Rain. He is also the translator of The Inferno of Dante and coeditor of An Invitation to Poetry. Among his numerous honors are the William Carlos Williams Award, the Los Angeles Times Book Prize, the Shelley Memorial Award, the PEN-Voelcker Award from PEN, and the Lenore Marshall Prize. 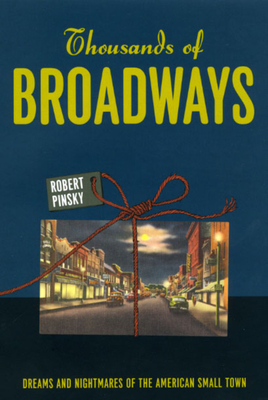 "Interspersed with his recollections are deft analyses of fictional small-town portrayals. . . . Pinsky's eloquent reflections on collective memory and hypocrisy are well worth absorbing."